The iRedeem Website(as hereinafter defined) customer rewards program (the “Iredeem Program”) offers customer members enrolled in Iredeem (“Members”) reward points (“Points”) in connection with each dollar of purchase at any merchant enrolled in the Iredeem Program (“Merchant”). The Iredeem program allows Members toobtain gift cards for use at the businesses of Merchants who are activelyenrolled in the Iredeem Program, through the online platform on the Site, in exchange for the redemption of Points. Iredeem Inc., (referred to inthese Terms and Conditions as the "Iredeem",“We” or “Us”), its subsidiaries and its affiliates, require that allvisitors to and Members of (collectively referred to as “You” or as the “User” or“Users”) this site on the World WideWeb (the "Site") adhere tothe following Terms and Conditions (the "Terms and Conditions" or "Agreement"). By accessing the Site you indicate your acknowledgementand acceptance of these Terms and Conditions. Any User who is a repeat visitor to the Site should refer back to these Termsand Conditions from time to time, as Iredeem may make periodic changes to them. This is described in greater detail in paragraph 016. To participate in the IredeemProgram, an individual must be a Member. Iredeem Program Membership is grantedin Iredeem’s sold discretion and may be withdrawn in Iredeem’s sole discretionwith or without notification. An application for enrollment in the IredeemProgram may be completed at a Merchant business location or on the Site. Onlyone Iredeem Membership is available per person. Each Merchant will have re-loadablepoints cards for use in the Iredeem Program (“Iredeem Point Cards”). Uponenrollment in the Iredeem Program, each Member will receive an Iredeem PointCard for the purpose of keeping track of Points earned. The Iredeem Point Cardis the property of Iredeem and can be revoked at any time by Iredeem in itssole discretion, with or without notification. The Iredeem Point Card is not acredit card. Members must immediately notify Iredeem in the case of a lost orstolen Iredeem Points Card. When Iredeem is made aware of a lost or stolenIredeem Points Card, Iredeem will inactivate the Iredeem Point Card associatedwith that Member. A new Iredeem Point Card may be provided in the solediscretion of Iredeem. All accumulated,unredeemed Points will remain intact and be transferred to a new Iredeem PointsCard. Iredeem is not responsible for any redemption made using a Member’s lostor stolen card. Use of Iredeem’s services, including without limitation theIredeem Program, is restricted to individuals of full age and legal capacitywho are Members in good standing of the Iredeem Program. Points may be earned by Members in connection with each dollar of purchase (before taxes) at a Merchantbusiness. Points are not transferrable or assignable unless expressly permitted by Iredeem. Points will be earned at the rate of 1 point for each dollar spent ata Merchant business. Occasionally, through specified promotions, additional Points or other benefits may be awarded to certain Members or offered bycertain Merchants. Iredeem may change the basis on which Points are awarded(including the number of Points awarded) at any time, with or without notice,in Iredeem’s sole discretion. Each Merchant will have a policy with respect to refunds. In most cases, in the event of a refund, the Merchant will automatically deduct the Points earned forthat particular purchase. Except as specifically provided herein, Points have no cash value and are not exchangeable for cash. Points are void if sold,purchased, assigned or transferred. Should any Member not earn points for___________ consecutive months, the Iredeem Points Card will be deemed to beinactive and all Points accumulated may be forfeit, with or without notice, in Iredeem’s sole discretion. Points will be posted to a Members account ________days after receipt from a Merchant. Prior to the redemption ofPoints, you are required to register your Iredeem Points card by creating anaccount on the Site. Upon registration, you will be able to redeem Points onthe Site in exchange for gift cards to be used at various Merchants businesses (“Merchant Gift Cards”). The MerchantGift Cards you obtain through the Iredeem Site are redeemable for goods orservices from that Merchant. The Merchant, not Iredeem, is the seller of thegoods and services and is solely responsible for redeeming any Merchant GiftCard you obtain. Members should allow approximately ____________ days for delivery of theirMerchant Gift Card once Points have been redeemed on the Iredeem Site. Attimes, due to uncontrollable circumstances, Merchant Gift Cards may requiremore time to be sent to Members and the above referenced time period fordelivery of the Merchant Gift Cards may be extended. All redemptions forMerchant Gift Cards are final. You willnot be able to return a particular Merchant Gift Card for the return of pointsor for a different Merchant Gift Card unless expressly stated herein. Due tothe fact that Merchant Gift Cards are usually only offered in limitedquantities, Merchant Gift Cards for every Merchant will not necessarily beavailable at any given time. As aredeemer and issuer of the Merchant Gift Cards, the Merchant shall be fullyresponsible for any and all injuries, illnesses, damages, claims, liabilitiesand costs suffered by or in respect of a User or any of its other customers,caused in whole or in part by the Merchant, as well as for any liabilityarising from unredeemed Merchant Gift Cards or portions thereof. You waive, release,indemnify and hold harmless Iredeem and its officers, directors, employees andagents from any claim, liabilities, damages, or injury arising from or relatedto any act or omission of a Merchant in connection with a Merchant Gift Card orthe services/goods provided in connection therewith or as it relates tocompliance with applicable laws relating to the redemption of the Merchant GiftCards or any portion thereof. Pursuant to the Fair Trading Act, Alberta, cashequivalent gift cards do not expire, however, you are responsible for dealingdirectly with the Merchant with respect to expiration dates of Merchant GiftCards, if any. You acknowledge and agreethat Iredeem not an agent for the Merchant or any other third party servicesand products available through or arranged through the Site. Any and all claimsregarding any failure or breach with respect to the services or productsoffered through the Site are limited to claims against any and all providers ofsuch services or products. Iredeem hereby disclaims any liability, whetherbased on contract, tort, strict liability or otherwise, including withoutlimitation liability for any direct, indirect, punitive, consequential,incidental or special damages, in connection with the services or productsprovided by any carrier or other supplier through the Site, including withoutlimitation liability for any act, error, omission, injury, loss, accident,delay, or irregularity which may be incurred through the fault, negligent orotherwise, of such carrier or supplier and you hereby exonerate Iredeem fromany liability with respect to the same. USERS AGREE THAT THE USE OFMERCHANT GOODS OR SERVICES (ACQUIRED WITH OR WITHOUT MERCHANT GIFT CARDS) IS ATTHE SOLE RISK OF THE USER AND ISWITHOUT WARRANTIES OF ANY KIND BY IREDEEM,EXPRESS, IMPLIED OR OTHERWISE INCLUDING WARRANTIES OF TITLE, FITNESS FORPURPOSE, MERCHANTABILITY OR NON-INFRINGEMENT OR IN THE CASE OF SERVICES, OF THERELIABILITY, SKILLS, PERFORMANCE OR LACK THEREOF OR CREDENTIALS OF SERVICEPROVIDERS. IREDEEM PROVIDES ABSOLUTELY NO GUARANTEE OR WARRANTY THAT MERCHANTSWILL PROVIDE THE SERVICES ANDPRODUCTS CONTRACTED FOR THROUGH THE IREDEEM SERVICE. UNDER NO CIRCUMSTANCES IS IREDEEMLIABLE FOR ANY DAMAGES ARISING FROM THE TRANSACTIONS BETWEEN MEMBERS AND PRODUCT OR SERVICE PROVIDERS OR FOR ANYINFORMATION APPEARING ON PRODUCT OR SERVICE PROVIDERS' SITES OR ANY OTHER SITELINKED TO THE IREDEEM SITE. IREDEEM WILL NOT BE LIABLE TO USERS FOR ANYINCIDENTAL, SPECIAL OR CONSEQUENTIAL DAMAGES OF ANY KINDTHAT MAY RESULT FROM USE OF ORINABILITY TO USE THE IREDEEM SERVICE. IREDEEM DOES NOT RESOLVE DISPUTES BETWEENOR AMONG USERS OR MERCHANTS. ANY LIABILITY OF ANY KIND THAT IREDEEM MAYBECOME LIABLE FOR SHALL BE LIMITED TO THE MAXIMUM AGGREGATE VALUE OF $100CANADIAN OR THE VALUE OF THE MERCHANT GIFT CARD OBTAINED BY THE MEMBER,WHICHEVER IS THE LESSER AMOUNT. Users agree to indemnify, defend,and hold Iredeem, its affiliates and their respective officers, directors,employees and agents harmless from any liability, loss, claim and expense,including reasonable legal fees, related to Users' violation of these Terms andConditions or any other Agreement or Policy of Iredeem or for use of the IredeemSite. The trade marks, logos, andservice marks (the "Marks")displayed on the Site are the property of Iredeem, its affiliates or otherthird parties who have permission from Iredeem. Users are prohibited from usingany of the Marks for any purpose, including, but not limited to use as metatagson other pages or sites on the World Wide Web without the written permission ofIredeem or such third party which may own the Marks. All information andcontent including any software programs available on or through the Site (the "Content") is protected bycopyright. Users are prohibited from modifying, copying, distributing,transmitting, displaying, publishing, selling, licensing, creating derivativeworks or using any Content available on or through the Site for commercial orpublic purposes. Users are further prohibited from knowingly or unknowinglysubmitting to Iredeem for posting or publication, or themselves posting orpublishing on the Site, any material which violates or infringes any copyright,trade mark, trade secret, patent, statutory, common law, or other proprietaryright of others. All content, products, andservices on the Site, or obtained from a web site to which the Site is linked(a "Linked Site") areprovided to you "as is" without warranty of any kind either expressor implied including, but not limited to, any implied warranties ofmerchantability and fitness for a particular purpose, title, non-infringement,security or accuracy. Iredeem does not endorse and is not responsible for (a)the accuracy or reliability of any opinion, advice, or statement made throughthe Site or a Linked Site by any party other than Iredeem, or (b) thecapabilities or reliability of any product or service obtained from the Site ora Linked Site. Under no circumstances will Iredeem be liable for any loss ordamage caused by a User's reliance on information obtained through the Site ora Linked Site, or User's reliance on any product or service obtained from theSite or a Linked Site. It is the responsibility of the User to evaluate theaccuracy, completeness or usefulness of any opinion, advice or other contentavailable through the Site, or obtained from a Linked Site. Please seek theadvice of professionals, as appropriate, regarding the evaluation of anyspecific opinion, advice, product, service, or other content. The information, software,products and description of services published on the Site or a Linked Site mayinclude inaccuracies or typographical errors, and Iredeem specificallydisclaims any liability for such inaccuracies or errors. Changes are periodicallymade to the information on the Site and Linked Sites. Iredeem may makeimprovements or changes to the Site at any time. You agree that Iredeem, andany of its officers, directors, employees, or agents will not be liable,whether in contract, tort, strict liability or otherwise, for any direct,indirect, punitive, consequential, incidental or special damages (includingwithout limitation lost profits, cost of procuring substitute services or lostopportunity) arising out of or in connection with the use of the Site or aLinked Site, or with the delay or inability to use the Site or a Linked Site,even if Iredeem is made aware of the possibility of such damages. Thislimitation on liability includes, but is not limited to, the transmission ofany viruses which may infect a User's equipment, failure of mechanical orelectronic equipment or communication lines, telephone or other interconnectproblems (e.g. you cannot access your internet service company), unauthorizedaccess, theft, operation errors, strikes or other labour problems or forcemajeure. Iredeem cannot and does not warranty or guarantee continuous,uninterrupted or secure access to the Site. By submitting comments,suggestions or ideas to the Site, including suggestions for improvements to theSite, Users do not enter into a contractual or confidential relationship with Iredeem.Users agree that the content of their submission will become the sole propertyof Iredeem and Iredeem will be entitled to use such submissions for any reason,in any medium, in perpetuity, without any liability or obligation and withoutcompensation. Users further agree that any review of their submissions by theSite does not create the inference that the submissions are original and Usersacknowledge that Iredeem may have independently created or might in the futureindependently create something substantially similar or identical to suchsubmission with no liability or obligation resulting therefrom. Submissions andsuggestions sent to Iredeem will be treated as non-proprietary andnon-confidential and will become the property of Iredeem which may or may notuse same for any purpose. Iredeem prohibits caching,unauthorized hypertext links to the Site and the framing of any Contentavailable through the Site. Iredeem reserves the right to disable anyunauthorized links or frames and specifically disclaims any responsibility forthe content available on any other Internet sites linked to the Site. Access toany other Internet sites linked to the Site is at the User's own risk. Usershould be aware that Linked Sites may contain rules and regulations, privacyprovisions, confidentiality provisions, transmission of personal dataprovisions, and other provisions that differ from the provisions provided onthe Site. Iredeem is not responsible for such provisions, and expressly disclaimsany and all liability related to such provisions. (a) Any unlawful, harmful,threatening, abusive, harassing, defamatory, vulgar, obscene, profane, hateful,racially, ethnically or otherwise objectionable material of any kind,including, but not limited to, any material which encourages conduct that wouldconstitute a criminal offence, give rise to civil liability or otherwiseviolate any applicable local, provincial, federal, or international law. (b) Advertisements orsolicitations that violate Iredeem' written policies or that Iredeem objects tofor any reason whatsoever. (c) Communications wherein Usersimpersonate others. (d) Personal information such asmessages that state phone numbers, social insurance numbers, addresses, oremployee references. (e) Communications bynon-spokesperson employees of Iredeem purporting to speak on behalf of Iredeemor containing confidential information concerning Iredeem. (f) Communications that offerunauthorized downloads of any copyrighted or private information. (g) Multiple Communicationsplaced within individual folders by the same User restating the same point. (h) Any other Communications towhich Iredeem objects and at its sole discretion decides to remove. Without limiting the generalityof the foregoing, Iredeem shall have the right to immediately terminate orsuspend any passwords or accounts of a User in the event of any conduct by aUser or which Iredeem, in its sole discretion, considers to be unacceptable, orin the event of any breach by a User of this Agreement. (d) forging identifyinginformation on any type of transmitted data, including any TCP-IP packet header, any part of an e-mail header,or a newsgroup posting header. Iredeem reserves the right toseek all remedies available at law and in equity for violations of these Termsand Conditions, including the right to block access from a particular Internetaddress to the Site. Iredeem, is its sole discretion, may terminate thisAgreement or suspend Users' access to the Site upon breach of this Agreement,including, but not limited to the User performing activities harmful to Iredeemor its Members, employees, vendors, business relationships, or other Users ofthe Site, in thesole judgment of Iredeem. Access to and use of passwordprotected and/or secure areas of the Site is restricted to authorized Membersonly. Unauthorized individuals attempting to access these areas of the Site maybe subject to prosecution. This Agreement shall be governedby and construed in accordance with the laws of the Province of Alberta and allapplicable Federal law without regard to conflicts of law principles. The Users agree that any disputes concerningthese Terms and Conditions, the Site or anything else described on this Site orin these Terms and Conditions shall only be decided by and are within theexclusive jurisdiction of the Courts of the Province of Alberta. Iredeem may, in its sole discretion, terminate the Iredeem Program. Termination of the Iredeem Program will be made by providing 30 days notice. Iredeem may, in its solediscretion, restrict, suspend, amend, extend or otherwise alter the Iredeem Programor certain aspects of the Iredeem Program with or without notice. Iredeem will not be liable orresponsible in any manner for any tax consequences which may flow fromparticipation in the Iredeem Program. Iredeem Program Members will be solelyresponsible for the reporting of any income tax benefit and the payment of anytaxes. By adding this business to your favourites, you will receive promotional notifications. 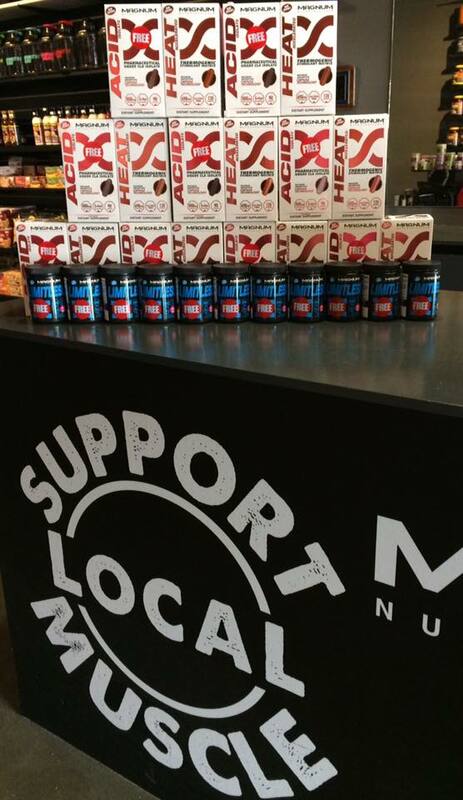 Rush Nutrition Spruce Grove encourages you to get the edge on the competition! 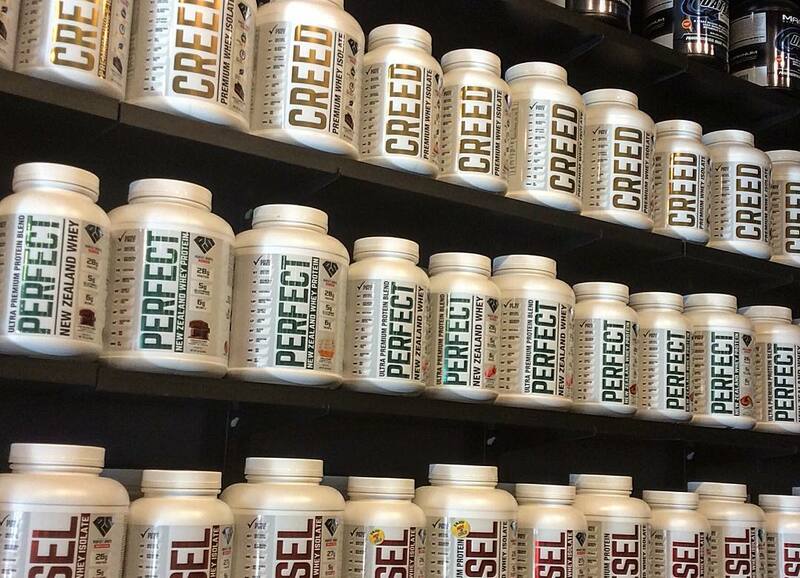 We carry a full line of sports nutrition products to help you achieve your best. 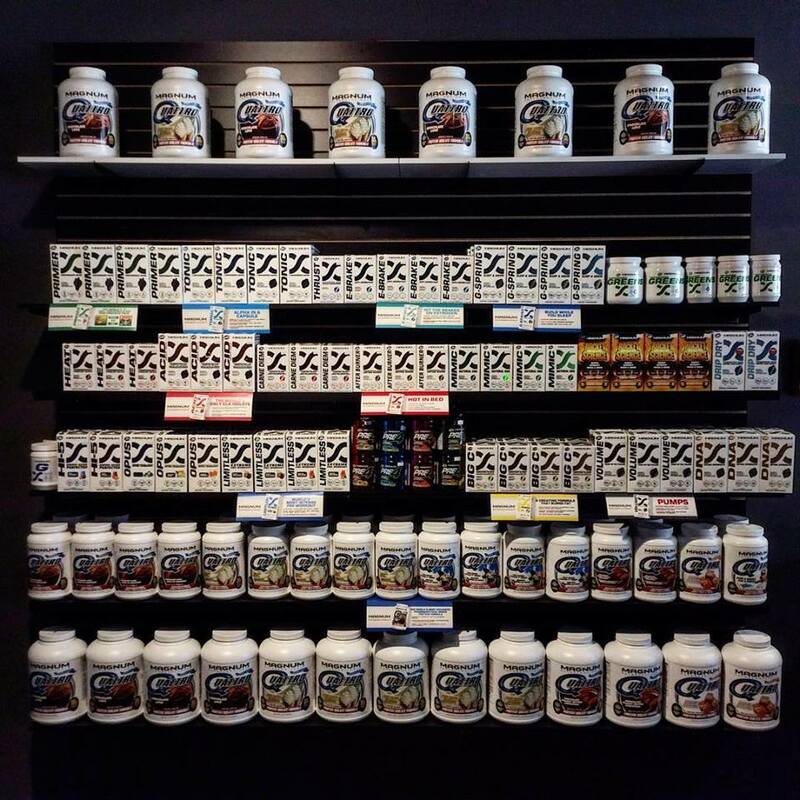 Our knowledgeable staff can help and guide you to the right products and answer any questions you may have. 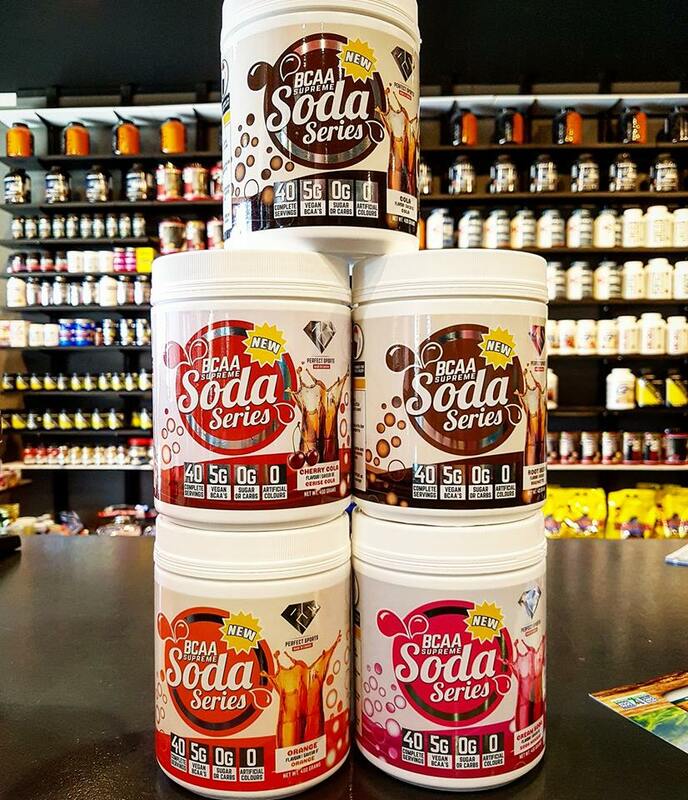 Click here to go to Rush Nutrition - Spruce Grove's website! Happy Birthday! Enjoy 15% OFF on your entire purchase. Cannot be combined with any other offers or discounts. Restrictions may apply. New members receive 100 Bonus Points upon sign-up or first visit (equals to $5 voucher). There are currently no events taking place this month. There are no upcoming events after this month. USAGE TERMS: Expires three months after date of redemption as indicated above. Redeemable towards the purchase of any product or service (unless prohibited by law) amounting to $10 or more excluding tax. Not valid on prior purchases or gift card purchases. Cannot be combined with other coupons, offers or discounts. Nontransferable. No Cash Value. Great savings at your fingertips. search the iredeem network to find the deals nearest you. Copyright 2019 iRedeem Inc. All Rights Reserved.